The Fifty-three Pairs for the Tokaido Road - Around 1845, Hiroshige, Kuniyoshi, and Toyokuni III (Kunisada) contributed designs to a Tokaido series titled "The Fifty-three Pairs (or Parallels) for the Tokaido Road." The series featured images of historical figures, legends, and ghost stories associated with the different stations along this famous route. 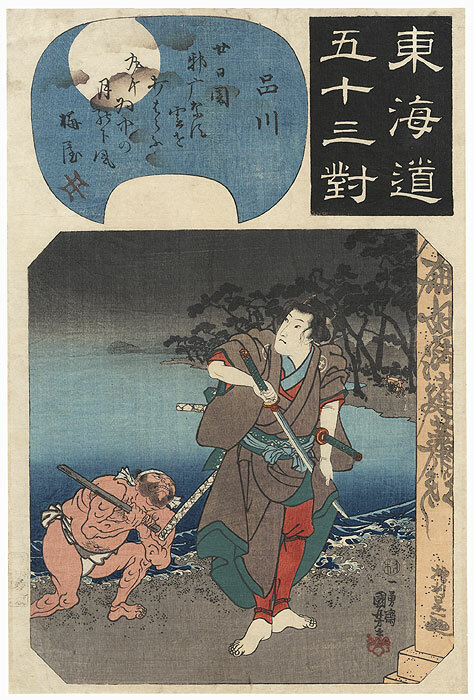 The series title appears in a black cartouche at upper right, with a narrative in an inset at left, and a scene illustrating the story below. 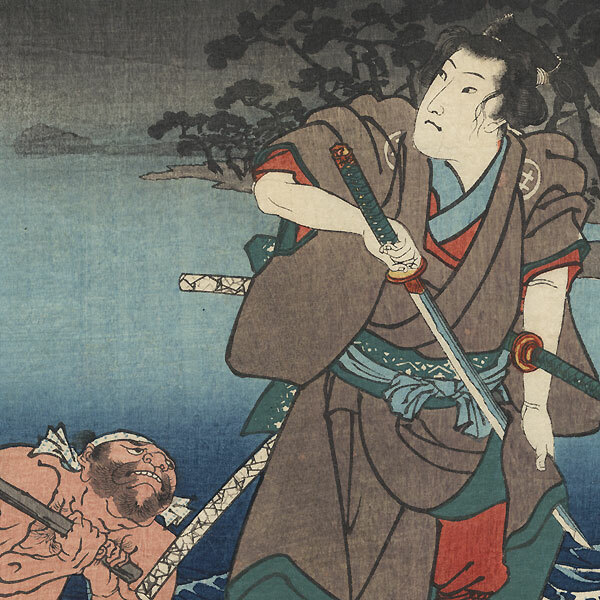 An interesting take on the classic Tokaido series, these prints feature lively and animated designs of warriors and beauties or ghosts and spirits, instead of typical travelers, bringing the highway to life. 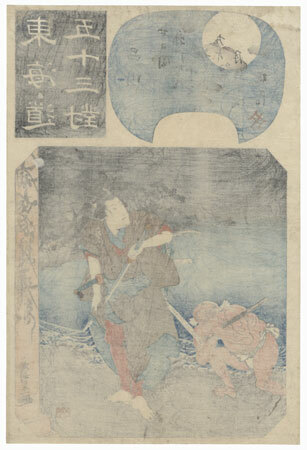 A great choice for a collector interested in Japanese tales and legends. Condition - This print with excellent color and detail as shown. A few small wormholes, small thinning spot, repaired. Slight toning and soiling, a few creases. Please see photos for details. Good overall.